what that is look it up.I bought all my stereo equipment in Germane when i was in the air force the 1229Q still runs great and so does my Sansui 6001 receiver amp and 4 Sansui SP2500 speaker and a Nakamici tape deck all run great and in excellent condition. Nowadays its getting more difficult to even find a good second hand Dual 1229, its quite a pity. Other than ebay, do you know of any other sites, folks? Great build and sound quality. Though I don't play multiple records, it is capable of doing this. I like the automatic feature because I don't like having to always be aware of the ending of an album. It's also nice if I don't feel like dropping the arm manually. The automatic feature works very well. This deck is the most vibration and feed-back isolated one I have. In fact, where three other decks I tried would howl, the Dual doesn't shake, skip or make a sound other than what it is playing. I have JBL's with dual 10" woofers which are on a 65 watt tube amp along with a 150 watt sub-woofer connected. I play this system loud and this turntable is flawless in quietness and operation. I looked into buying a newer turntable but most all look the same unless you get into the Thornes tables which start at 600 dollars and up. Finding one with automatic features is another thing. And the Dual 1229 has looks and character that is also hard to find unless you spend a lot of money. I had to lube the idler linkage previously and later on I discovered that the linkage that allows the auto shut off feature to operate also needed oiling. This caused the motor to stay running, eventually making a scraping sound (and strobe lamp on), but because the idler wheel doesn't contact the motor capston and platter when it is in the off position, the platter doesn't turn and I didn't know the power switch wasn't being tripped to shut it off. These linkages are both made of white metal and this metal seems to corrode inside where the linkage pin rides which keeps it from moving correctly. I oiled the motor bearings which cured the scraping bearing noise problem. The paper strobe disc came loose which required being re-glued into place with some adhesive glue. The idler still works good after some cleaning and sand papering but I would like to replace it but I can't find one anywhere. It makes just a tad bit of noise when I have the amp cranked up. I also oiled and applied a little grease to the platter spindle and bearings. The cartridge mounting head shell design isn't something I prefer due to its complicated tiny connection pins but I think the design has something to do with how good this TT sounds. This shell also makes it more difficult if you want to change cartridges from one shell to another due to the connections can cause you to fuss with it to get them to connect properly. The head shell isn't cheap either, and the one I did buy off of E-Bay and from Germany, doesn't have quite the same 'full body' style to it as the original but it is still the same other than that. I did mount another cartridge into this other head shell for playing 78's but I ended up just putting it back into a Pioneer TT I modified for78''s due to the head shell issues I mentioned. I felt it better not to fuss with this set-up as, if it works, don't muck it up. I also could use an original dust cover but like the idler wheel, these are hard to find too. I'm currently using one from a Stanton TT I have which is now in the kitchen (where this Dual once was) and it is in a cabinet which keeps it protected from dust and dirt. This deck also needed a strobe lamp (probably due to it getting stuck in the 'on' position and not knowing it) but I can't find a strobe lamp either so I used a typical neon lamp in its place which works fine. I was asked by my girlfriend in 1997 if I would look at her ex-husbands turntable and see if I could repair it. I discovered that the white metal that was used on the idler wheel linkage had became corroded inside which kept the idler wheel from being able to hit the motor capstan. This wasn't very easy to free up but it seemed to be OK after working at it for a while with some thin oil and finally getting it apart and cleaned up. I have always admired the Dual brand tables being I am 50 years old now and I remember seeing a few throughout my younger years. I treasured my Marantz model 6300 TT but the Dual was something I always wanted so I asked my GF if her ex might be willing to sell me this one. He wanted 50 bucks for it so I gave him the money and I had this TT connected to my stereo that's in my kitchen so it didn't get much use until a few months ago when I got back into spinning vinyl. I purchased a new tube amp and a Bellari tube pre-amp and I was using my Marantz TT. This system is in my living room so I took the Dual from the kitchen system, hooked it up in the front room and I was totally blown away with it's sound quality. It had a Stanton 680 EEE cartridge in it, as well as my Marantz, but the sound was clearly much better than the Marantz or any of the other 4 TT's I own. I just installed a Shure M97XE cartridge into the Dual because my 1812 Overture cannon shots were throwing the Stanton right out of the grooves. The Shure tracks it without a hitch. I think it's a great match for the Dual too. I own four other TT's, none sound as good as the Dual 1229. Dustcover will break at the bend stresspoint on these....almost guaranteed. After stumbling across a dozen or so reviews on the Dual 1229Q, I couldn't help but sign up and offer my sentiments for this great piece of audio gear. Other than a few old used Garrard Turntables, this was my first 'new', off-the-shelf table. Bought it in '74, equipped with a Shure V15 III cartridge. Unfortunately, I was cash poor around 1980 and sold it. Now, 27 years (and six or eight turntables) later, I really find myself wishing I had that table back. Still, to this day (some 33 years later), I have not used a better turntable.The 1229Q just 'feels' solid. Operates quietly and reliably. Great suspension, super heavy platter. That table survived more college parties than I care to forget....and believe me, that is saying a lot. I've seen one here or there, occasionally, and plan on picking up another when I see the right one. Frustrated by not being able to walk across the room when using my Linn Sondek, I dug out my old Dual 1229. After completely dissembling the turntable, I removed all of the 'automatic' mechanisms from the beneath the table in order to make it fully manual. Next, I removed the Dual tonearm and replaced it with a NOS Grace 747, and NOS Pickering SVX3000 cartridge. After struggling quite some time break the motor open, I cleaned it and lubed the motor bearings with Mobil One Synthetic grease. Idler wheel was in excellent shape, and I further improved it by using a rubber reconditioning agent. The platter shaft both inner and outer were lubed with the above mentioned Mobil One grease. What was I thinking when I bought the Linn? Pace, pitch and power! Bass like no tomorrow. Soundstage is unbelievable. I bought two spares on ebay for parts, though I can't imagine ever needing any. Remarkable build quality. In time, these will be as sought after as Garrard 301;s and Thorens 124s... Buy now while you can. The best turntable you can find. I have Listened to my CD-4 Records for several years. I have just taken it to Adopt-A-Dual for a tune up. I know my Ghost will be able to play this turntable after me. Engineering, wieght of platter, high trackability with a heavy cartridge, style. Needs to be looked after and regularly serviced. Availability of parts (get an old donor). If the pitch correction starts to get extreme, regrease/reoil the mechanisms and adjust the idler wheel. I obtained a 1229Q and 1229 from an elderly man who had owned the Q and his brother who had owned the other. Also thrown in was a Shure V15 III and an m97. A pretty good deal for less than US$50. I decided to use the Q in my system and the other for parts. I stripped the Q, regreased and oiled it. You can find the service manual in pdf form on the net which is worth having as you need different grades of oil and grease to apply to different parts of the turnable. Fortunately the idler wheel on the Q was as new. I had a few problems with the automatic return mechanism but am perservering with it as I cant see the point of having all those levers (which dont make too much noise)and German engineering sittin there doing nothing. To disconntect it for manual operation seems to defeat the point of the turntable. The gloriously heavy platter takes longer than two minutes to stop spinning! I also replaced the rca leads with my own copper silver leads. I was having problems with sheilding them but have now disconnected the muting operation and grounded through the mains plug. The cables are shielded and everything seems to work well with crystal highs (I realise this is unconventional). The silver hybrid cable is a good mix with the Shure V15. The Q is a great turnatble which can track very light weights with a heavy cartridge. It does not perform so well with my Sumiko blue point as it losses bass (but gains mid and high range definiton). When choosing a cartridge be careful I understand that low compliance cartridges dont work well with the tonearm. Go with the older shure cartridges. As mentioned in the other reviews, the great strength of the table is the platter. Its weight and strong motor means little wow or flutter, if the idler wheel is adjusted correctly. The big problem is the base that the turntable sits on. These either need to be heavily damped or replaced with something much heavier, like what some people keep old Garrards on. The heavier the better, which will bring more bass and solid presentation to your music. I use the turntable with a Rotel pre amp, Perreaux PMF 1550 power amp and Systemdek System 990 speakers whcih provide a very clear sound. The turnable is a great counterpoint for my system which is quite dry and analytical off my modified Marantz Cd-63. The Q isnt an Oracle or even a Rega but at the cost its a great buy capable of presenting detail and depth as long as it is serviced and has been looked after well. My rating should be read in the light of the criterea, i.e. I'm not giving it five stars against a newer turnable, but it is "far better than you imagined". I love its quirkyness and total over engineering and wont swap it until I can afford the kind of tuntable that will probably cause my girlfriend to leave me. Trackability, vibration free, no wow or flutter and steady as a rock. The 1229 had too many imbedded features, like a little magnified porthole, with a focussing ring, to see the speed trueness, those little levers which will someday wear out, the fact that it is not belt driven, but idler wheel driven (but you can get repalcement for about $50 right now), a Rube Goldberg mess of arms, springs, screw adjustments and standoff bushings on the inside, way overdone, and why oh why did they try to make the left thumb lever try to accomplish so much? this thing is way overbuilt. I guess that's what you get when someone builds a dream machine. The 1229Q came pretty much naked with a lot of dust on it, the manual, a layout and spindles. I took it home and found that it did not work at all, but that this, I found out, was due to the change lever being jammed. Also, someone had tried to take apart the shell head and that turned out to be the worst problem. Also, one of the levers was stripped. First, I took the turntable off its wooden United Audio base and turned it over to see if any parts were missing. They were not, but one spring had come loose, which I reattached. I next took off the idler wheel and its E washer and examined them both. No wear here. I reattached them. I also manually unscrewed the transfer arms and inspected the gears. OK. I did find some dust mixed with oil which I did a nice component spray job on and relubricated all the parts with a clear Radio Shack machine oil anyone can get (It even fits into you shirt pocket, if you want.) There were two small shafts and thumb knobs, one of which had come loose. The inside of one of the knobs was stripped. I pressed a small brass bushing onto it and drilled out one side of the knob with my Dremel, inserted an eyeglass screw and tighted that down on fit. What I thought was the short spindle truned out to be the plastic holder for the platter (a very heavy platter, by the way). So, I simply went to a small machine shop and, using my specs, they made a new one. (What is special is that this spindle has a round middle cover, so the spindle not only fits the center hole, but also covers the center fit for the platter. (Cost: $20 and in noncorrosive steel. It fit perfectly). The very bulky plastic dust cover, which opens from the front and actually fits over all the turntable components, was in poor shape. I simple used plastic buffing compound and a buffing pad on my hand drill. It took care of all that. (the smokey cover is that color all the way through, thank goodness.) The hard part was refitting the cartridge shell. I had to do some rewiring which was very tedius because these wires and their connectors were the smallest I had ever seen. I had to get inventive and make sure the wires were not too long. The shell fit after a few experiments, but I was proud of what I had done. Cost: About ten hours work. The glue on one side corner of the United Audio base had dried loose. I simply took off the glue, put a new tricorner and glued it up, andput a couple of clamps on and left it for a few hours. I checked the motor, a two poled type and racked it up for test. It passed with flyiong colors, though I did notice some sort of burned looking discoloration on the shaft that I still can't identify. Perhaps there was some wear from where someone had played with it. I don't know. When I put the cover back on, the two guides and forks that fit the two pieces of the cover together fell off. I simply shimmed them with a little built up liquid plastic and they fit well and stayed on. Frotunately, the 1229Q had come with a nearly unused Sure 887, a special cartridge and needle that was especially made for quad. I have never been ableto find a replacement. Testing it on a simple recording proved nice. I adjusted the tracking and the weight with a Sure cantilever/mirror stylus force gauge (you can still buy these) to 1GM. Much better. The true test came when I attached the Dual to a Marantz Quad preamp and two Pioneer SX828 recievers and mounted a recording of John Payne's quadraphonic recording of "Spaced Out Bach". (1973). My speakers were two sets of restored old Bose Studiocraft 440A monitors from 1972. All I can say is: "It was damned worth the effort." The turntable platter is heavy creating a very reliable stable speed. It is quiet and flexible (3 speeds, single manual play, multi or single fully automatic play). Parts are still accessable (except for dustcovers) from several locations. I like All-In-One Electronics in Canada. Although the turntables I have are equipped with good to near mint dustcovers, they are no longer available new. That is really my only problem with the Dual 1229Q. I am the owner of 23 Dual turntables including a 1229 and a 1249 which I bought new in Germany in the 70's. I actually have 13 connected to various stereo systems throughout my house. I recently purchased a 1229Q on E-bay for $150.00 to go along with another one I bought 2 years ago, also on E-bay, for $25.00. This latest one features a unique Dual base which raises up to allow stacking of records (not recommended) without having to have the tall boxey dust cover. I love these turntables for their quiet operation and precision tracking. I was convinced that Dual was a great brand while in the Army in Germany at a Dual show in an Audio-Video club. The demonstrator played a record while holding a Dual 1229 at a 45 degree angle, with a tracking force of 1 1/2 grams. The record never skiped a track! 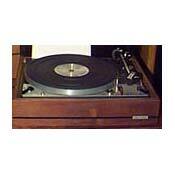 I was so impressed I sold my Garrard Zero 100 to another GI and took home a new 1229. That was in 1973. It's still going strong. Dual 506, 601, 606, 701, 1212, 1218, 1219, 1229, 1245, 1249, 1254, 1257.